David M. Peters, Esq. - Peters & Freedman, L.L.P. As a managing partner for Peters & Freedman, L.L.P. David M. Peters is one of the icons in the community association industry with more than 28 years of experience. David is a seasoned association attorney with vast expert witness and trial experience. He is a recipient of the 2015 Litigator Award, named in the San Diego Business Journal “Best of The Bar,” San Diego Attorney Journal (Attorney of the Month), Super Lawyers 2015 magazine, and named as one of San Diego’s top trial attorneys. David recently obtained a $21,680,000.00 partial settlement on a construction defect case for a downtown San Diego high-rise, thereafter, he took the remainder of the case to trial and received an additional jury verdict of more than $26,000,000.00. David has a law degree from Hastings, an MBA from the University of California Riverside and undergraduate degrees from Pepperdine University. 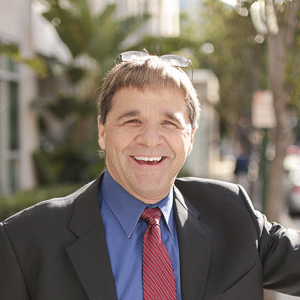 In addition to Mr. Peters’ practice of law, he has served on numerous committees within the Department of Real Estate (DRE), including the DRE Homeowners Task Force, Subdivision Advisory Resource Group, Subdivision Advisory Committee, California Association of Community Managers (CACM) and the Community Association Institute (CAI). David is a frequent speaker for industry functions, such as, CACM and other association industry organizations. He is an author or co-author of various legal guides and numerous industry articles. David is committed to serving as a volunteer mentor to high school students in charter schools and through mentoring, the students go back into the main stream high school and then on to college.